ProTouch Pool Services, located in Mira Mesa, was called by a Carmel Valley pool owner. 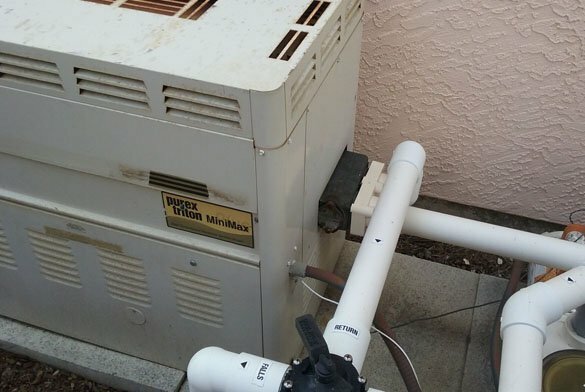 The San Diego homeowner told us that their swimming pool heater was no longer working. 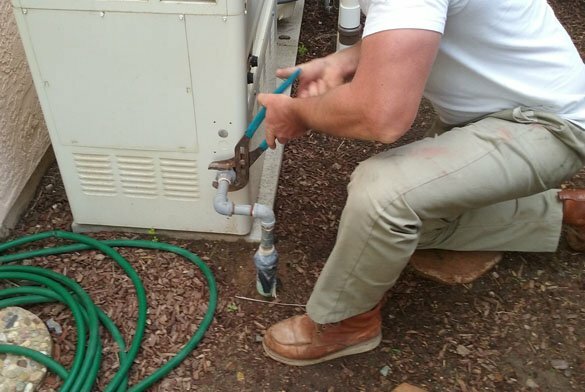 A service call out to troubleshoot the pool heater was scheduled. As part of our service call we also checked the pool water chemistry. We found the conditioner levels to be very high. A portion of the pool water should be replaced to lower the level. Along with the heater the homeowner also wanted pool salt system information. 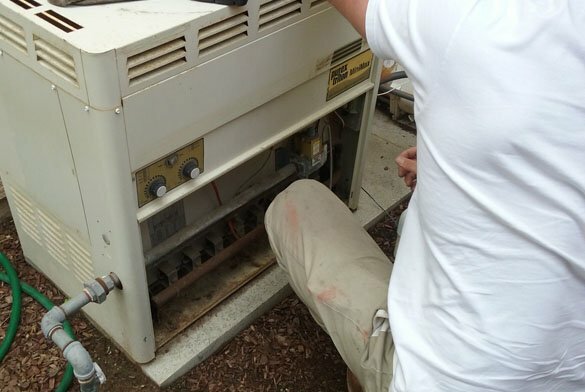 After checking the water and looking at the salt system options we inspected the pool heater. An estimate for a pool salt system was included with the heater quote. 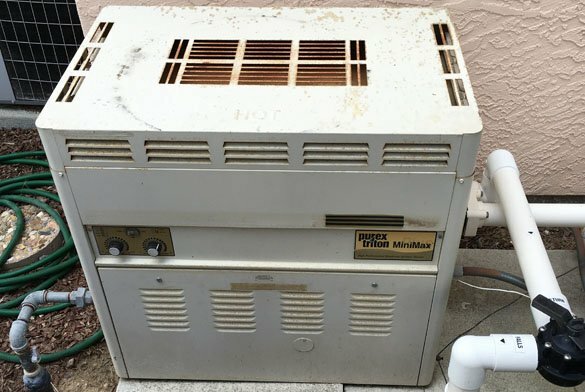 The pool heater was an older Purex Triton Minimax Plus heater. While troubleshooting the heater we noticed it would not fire. A buildup of soot was on the heat exchanger. Debris from the fire wall was also seen on the burner tray. Our pool heater diagnostics tests showed that the gas valve was bad. Rather than have us perform the heater repairs, installing a new heater was decided upon. 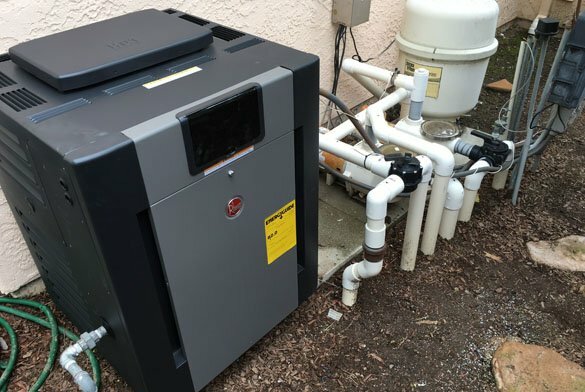 The old pool heater was removed and a Raypak 406A pool heater was installed. After turning on the power and the gas the heater was turned on. It quickly fired and worked perfectly. The homeowners were happy to have their pool and spa able to be used again. 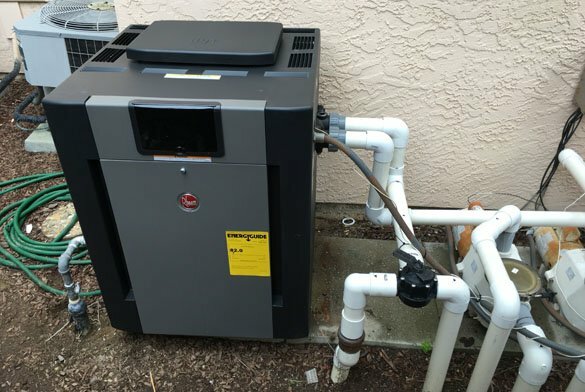 ProTouch was very glad we were able to help the Carmel Valley homeowners with a pool heater replacement.